In October 2016, Judith Johnson, Ph.D. — who is retired from the library at Florida State College at Jacksonville — was at home recovering from back surgery. While she was sitting in bed talking on the phone with a friend, something suddenly went wrong. Judith felt herself sliding in between the bed and the nightstand. Though Judith doesn’t recall what she said, her friend realized something was happening, hung up, and immediately called 911 and called Judith’s son. Judith was transported by ambulance to a hospital near her home, where it was determined she was having a stroke. Due to the nature of the stroke, she was transferred to Mayo Clinic’s Comprehensive Stroke Center. The fast action of a friend, coupled with a quick emergency response, and a nearby facility with the latest technology and training, put Judith in the best position to recover from her stroke and eventually get back to the things she loves. The first stroke facility in Florida to receive national Comprehensive Stroke Center certification, Mayo Clinic's Comprehensive Stroke Center is equipped with the latest technology to treat patients, like Judith, who need surgical intervention for stroke. According to the Centers for Disease Control and Prevention, stroke is a leading cause of serious, long-term disability in the United States. Each year, approximately 795,000 people suffer a stroke. Nearly three-quarters of strokes occur in people over the age of 65. Although Judith had high blood pressure for more than a dozen years, it had been under control. So outside of her age, Judith didn’t have any other known risk factors for stroke. “When she arrived at Mayo Clinic, she was unable to speak, and couldn’t move her right arm or leg,” says endovascular neurosurgeon Benjamin Brown, M.D. Imaging showed Judith had a blockage in one of the major blood vessels leading to the left side of her brain. If the blockage remained, she would likely sustain irreversible brain damage. Dr. Brown performed an emergency mechanical thrombectomy, a procedure in which a mechanical device is threaded through a catheter in the leg up into the brain to remove a clot. In Judith’s case the device was a stent retriever, which latched on to the clot and pulled it out. Judith's recovery was uncertain at first. But fortunately, she improved rapidly over the next four days. “Every day was a giant leap forward,” she says. Judith, who trained at the Peabody Conservatory of Music and loves playing the piano, initially feared she would lose that ability. Judith was released on Oct. 20, 2016, to a rehabilitative facility to focus on speech and occupational therapy. Although the clot had been removed, the loss of blood flow affected Judith's ability to speak, write and understand language — a condition known as aphasia. 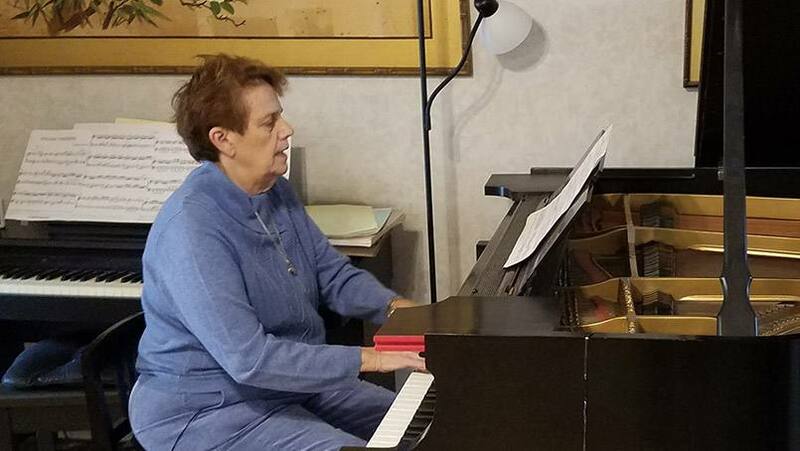 Thanks to the quick stroke treatment she received at Mayo Clinic, along with her follow-up therapy, Judith now is able read music again and, although she has a little weakness on the right side, she’s returned to playing the piano. “That skill was miraculously well-preserved,” Judith says. Judith describes her experiences at Mayo Clinic as positive and caring. She’s grateful for the care Dr. Brown and his team provided. Explore the Stroke Center at Mayo Clinic in Jacksonville. Check out Mayo Clinic’s Florida campus.